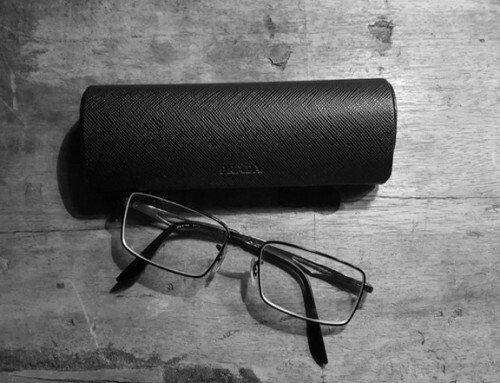 Home/Image highlights, My thoughts/Are we keeping up with the times? In the beginning there was the point system or no contact competitions, then semi contact and full contact and so on, today there are many ways in which you can compete, it’s a matter of taste. 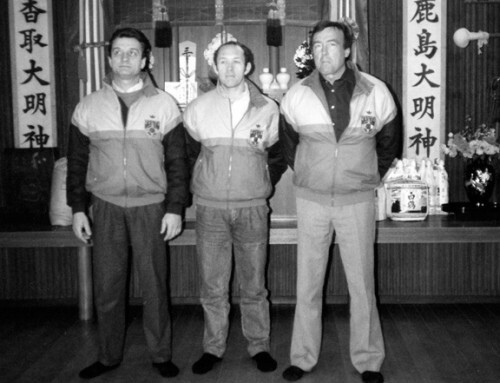 I suppose kyokushin started it off by having what we call knockdown competitions, after which came all the variations, many offering prize money. Should we change our knockdown rules to keep up with the times? That’s a big question, as Sosai gave us knockdown and if we change things is that going against Sosai. Perhaps if he were alive today he would change things himself. After all competitions are there to promote kyokushin and if its not working then perhaps something needs to be changed. In the early days of kyokushin we were allowed to grab in order to use our knees, this was taken away and soon after we forgot how to grab. I know we are not allowed to punch the head, we don’t use gloves so that’s a safety factor and bare knuckle fighting is forbidden. Osu!! Sosai gave us knockdown rules. If he were alive today he would have change things himself. 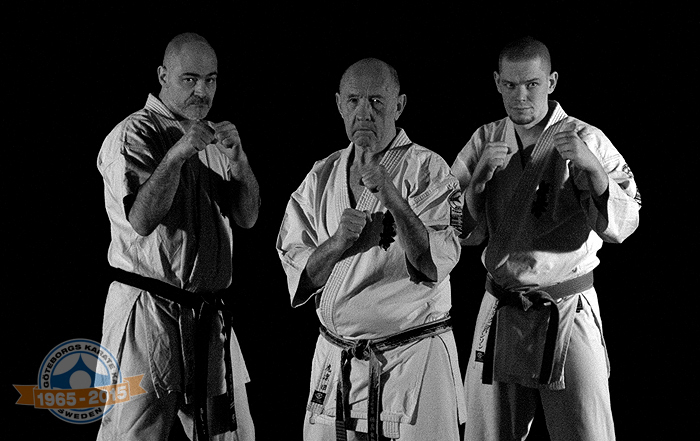 I strongly recommend we should not change our knockdown rules that makes Kyokushin Karate exceptional. 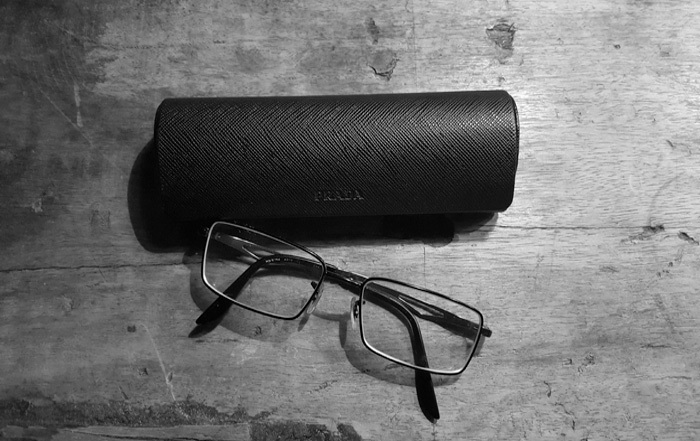 Only the exceptional gets noticed. OSU Shihan. That`s a intresting and a hughes discussion. I can see that+s a lot+s of teknikes is forgotten in fight . I teach the students sveps technices know and they even don´t know that it is allowed in competition and have never been learned. Even that technich is nearly forgotten. I think we should allow grab for a short secund to make it easier to svep somebody. Is there a possibility to allow some technices to get´s point and also allowed to knock them out in the competions. Maybe we would se some more of kykushin technices then.Just a thought. Was thinking about this some days ago after training. Have to asked if it´s allowed to grab when you svep somebody? 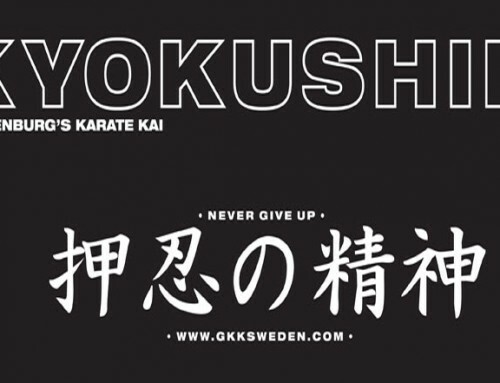 What kyokushin is NOW! Is against what sosai started. We train as tournament fighters instead of training for real life situations it has become a “sport” I do not teach sport karate a.k.a kyokushin, we here at norcalkyokushin learn Shinken shobu! The right way to learn kyokushinkaikan. Grabbing is a natural thing to do in a fighting situation particularly in street fights where the distance is closed very quickly by people with little skill but if they are big and strong and very aggressive it can be devasting. Boxers grapple when in close having thrown a punch they will often tire up their opponent by wrapping the arms before being told to break. Thai Boxing has grappling so why doesnt 99% of karate. That said people are waking up to the fact that grabbing and hitting is needed for karate to be taken seriously. More people grapple these days whether it’s judo, wrestling BBJ and don’t forget the rugby player. Knockdown should without doubt bring back grabbing so that karateka can train to use if both offensively and to defend. 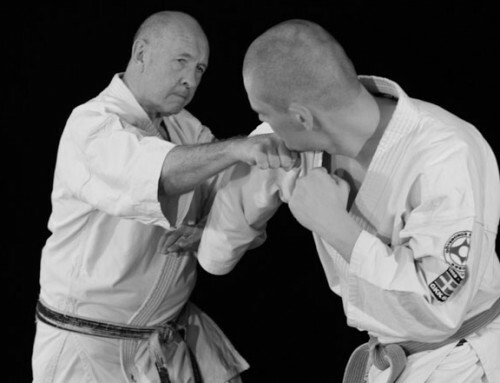 As karate is predominatly a striking fighting form then grabbing, pulling and controlling an opponent must be included in training and then taken onto the competition mat to be tested. It should be a fundamental skill in all karate exponents armoury. Can’t agree more! Grabbing is a must have. We re loosing so much against arts and sports like Muay Thai or even more so Sanshou which has greater advantages with its grab, hook, pull, push, throw techniques. Reintroducing some form of grabbing is something I hope for the most. You raise good points. I would vote for a reform. They are now so limited that almost anyone with a strong chest and thighs can pound on endlessly. Bring back sweeps. Some throws penalties for chest thumping slug fests with no kicking. Bring back holding for a limited time. Mandatory high kicking. That’s a start. bring back the grabbing rule . Or even face punches . We have to keep up with the times !!! 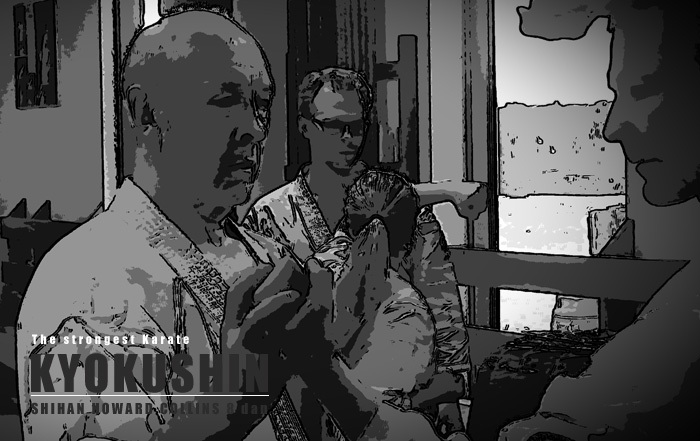 Osu Shihan, I’ve often wondered of late what’s been lost or could be forgotten in kyokushin. So your thoughts give me pause to reflect on mine and this idea resonates with what I’m thinking. I believe what you infer is right, If you don’t use it you loose it – I believe is the old saying. Like muscle atrophy from neglect, so does karate from neglect or rather focus. What you focus on you get, we focus on full contact tournaments and the rules required of the tournaments. Therefore what we don’t focus on is neglected. 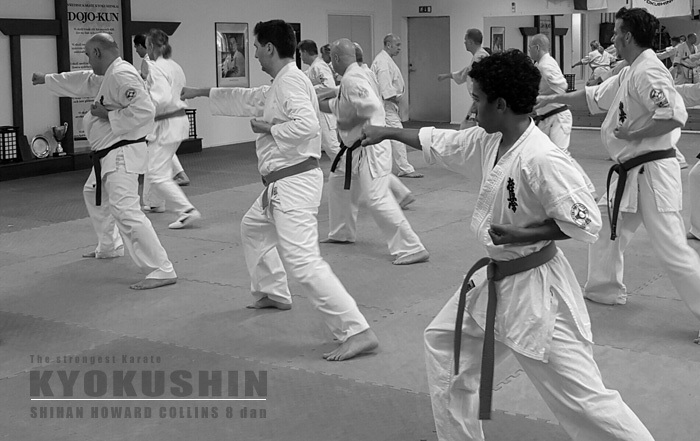 We don’t need to grab, throw or grapple, so there’s no focus and we don’t know how, certainly I haven’t learnt these fundamentals from kyokushin. Yet they are part of karate. Let’s face it changing or at least allowing our sport to grow and change with the times will allow our competition to compete against mma and Muay as visually more superior and spectacular than kyokushin to the audience. Osu, all fellow Kyokushinkai-kas. Let me share some of my history. 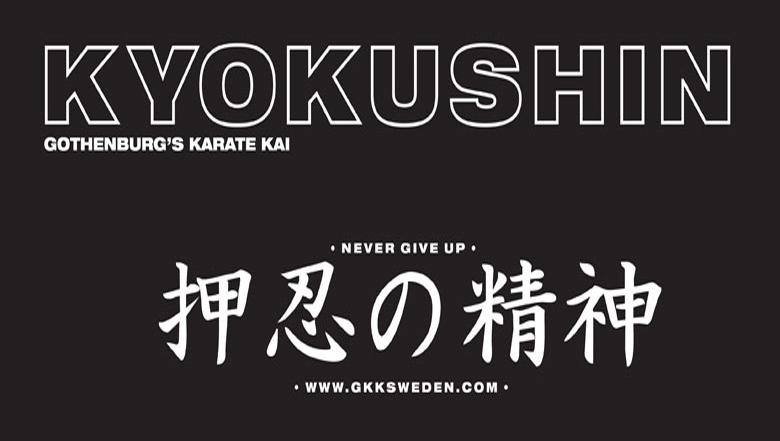 I started practicing Kyokushinkai at the age of 13 in Gothenburg. I started with my good friend Petri Pelkonen at Guldheden school, when GKK didn’t have their own premises. 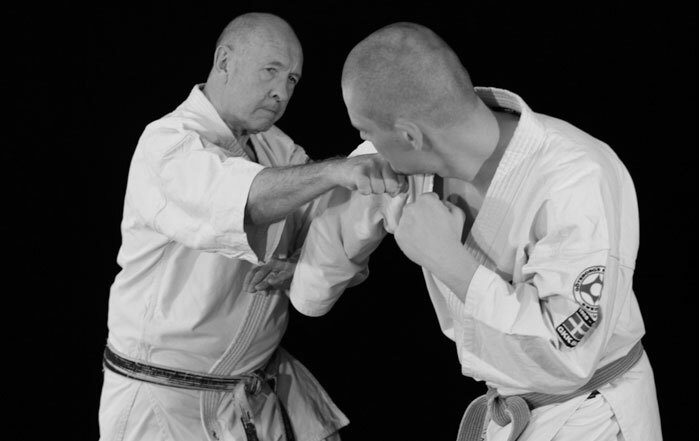 Our first teacher was Lloyd Payne, a fantastic teacher and an example of what Kyokushin was all about; hard and dedicated training. 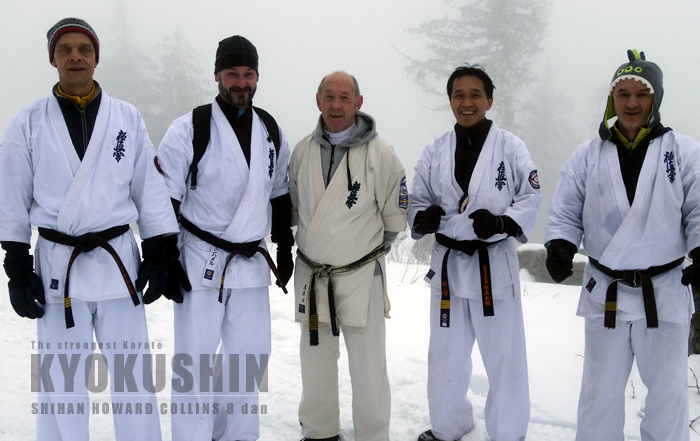 Later, Shihan Collins became our teacher and luckily he decided to stay in Sweden! 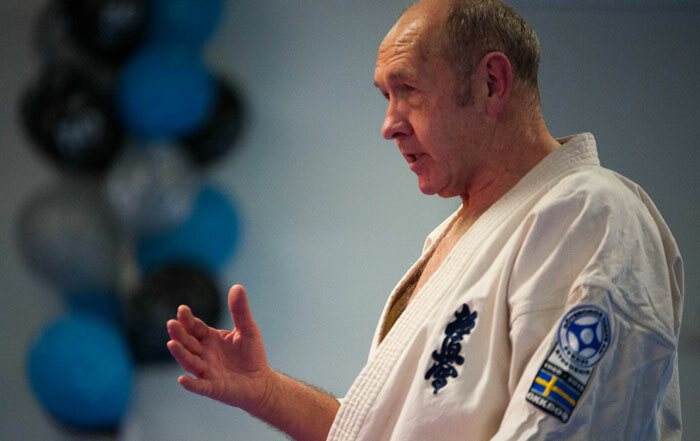 At that time knockdown wasn’t even allowed in Sweden, and me and my friend, that was all we wanted to practice and compete in, but Shihan allways said that there is much more than only knockdown…but, coming from a finnish immigrant background in 1976 to Gothenburg, where we Finns felt as second class citizens, we found a second home at the Dojo and especially in Kyokushinkai. So, 30 years later and hopefully much more wizer, I have to say, don’t worry about what others do, but be true to the original meaning of the Kyokushin Spirit. Without that and without my first true Teacher, Shihan Howard Collins, I wouldn’t have survived this far In my life. And that goes for many of my friends too. 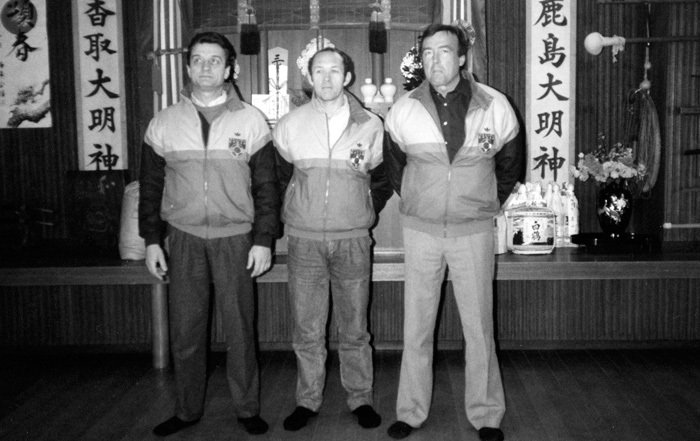 Osu, We must not forget where Kyokushin came from. When the Japanese fought the Americans early in the 70’s they would use Judo to control there much bigger American opponents. 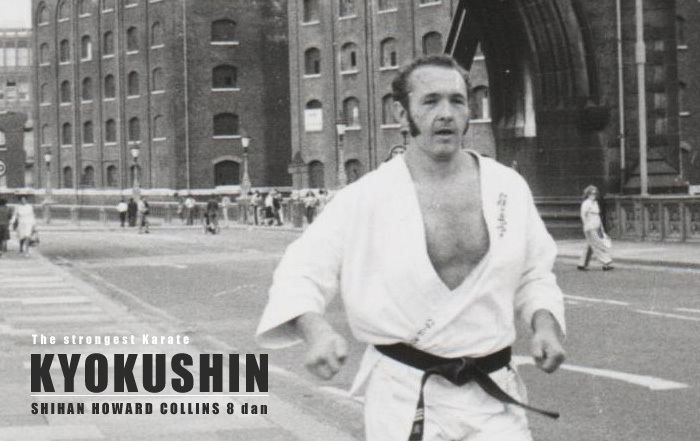 Kyokushin at a point in time was in effect the first form of MMA if you would like to call it that. 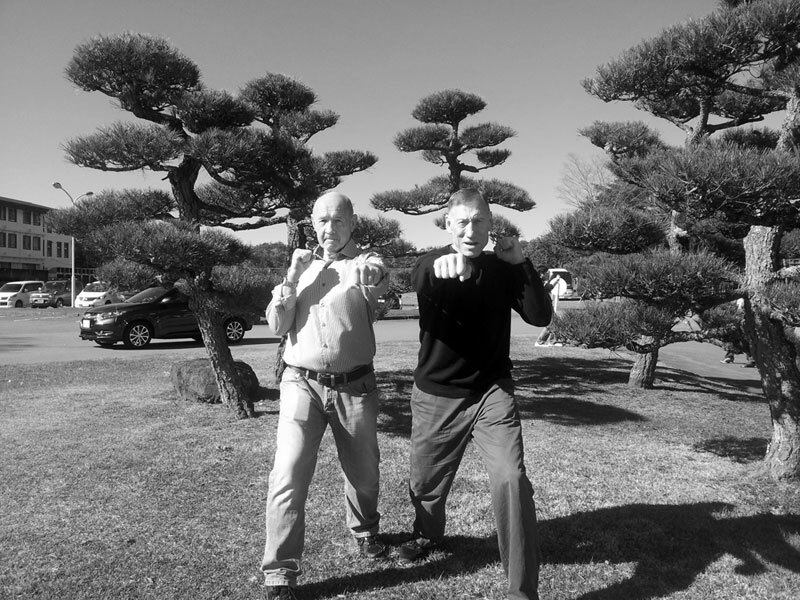 Grappling, punches to the face, elbows, kicks, knees, all of that was allowed as Shihan would know well.Another example of this would be when Sosai asked Akira Maeda and Shihan Jon Bluming to start allround karate as a sport so as to compete with the RINGS federation. Even Sosai would incorporate Grappling and Throwing into his famous Techniques.So you see Kyokushin always had these dimensions but then Kyokushin became too mainstream and lost it’s essence in terms of it being the strongest karate as seen when kyokushin players first went to fight in K-1. They all had issues fighting there until they adjusted.Kyokushin and Sosai was ahead of his time in terms of combat. 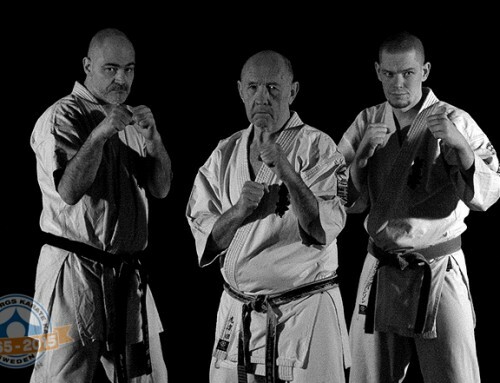 Now it is time to make Kyokushin strong again by going back to its roots and evolving.Just take a look at how Kyokushin fighters have all reached the top of combat sports in the world. OSU!